Wow. What a journey this new blog is taking me on. Again, I’d like to thank everyone who has taken the time to leave comments here on the blog and also on the facebook pages where I’ve invited discussion on the topics I’ve looked at here. 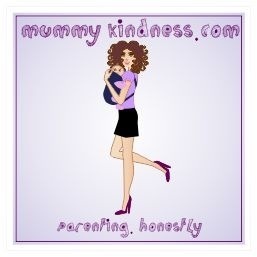 So far, in the four days since I started this adventure, mummykindness.com has had over two thousand views. That just blows my mind. I say this not to toot my own horn but to illustrate the point that maybe, just maybe, I’m on to something here. Maybe my ideas and thoughts are echoed by others. 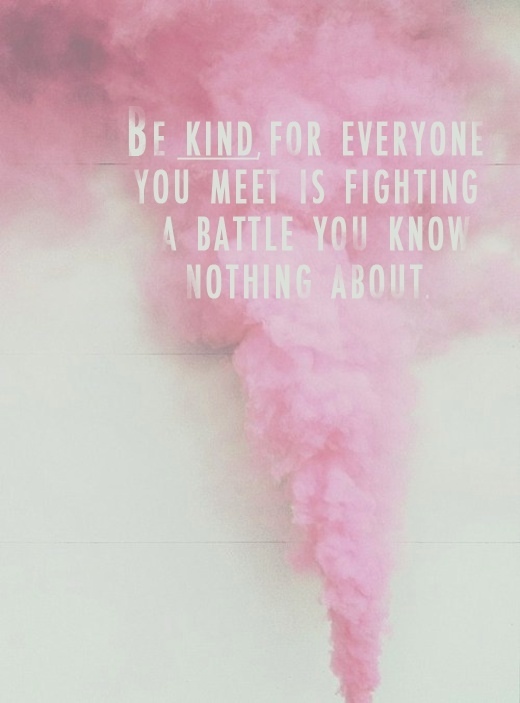 Maybe I can make a difference to people by being open and honest about my own struggles, and helping others to think about being kinder to themselves and to one another. The Shirley post struck a chord with lots of people and I received some really heartfelt messages from women who have put up with some incredibly hurtful comments from their fellow mums. In fact, the topics they shared with me will undoubtedly be the subject of future posts. This really interested me. Several of the comments via Facebook had been from women honest enough to admit to being Shirley at one time or another. I wanted to look in to this further. I was hoping to get some insight into what makes Shirley tick so I posted on two mum forums where I knew I’d get full and frank answers. I asked women to tell me about instances where they’ve been made to feel inferior by another mum, or explain situations where their inner Shirley may have come out. One mum had a newborn baby so intolerant to lactose that she couldn’t even tolerate breast milk. She was devastated to have to formula feed her baby but genuinely had no choice in the matter. You can only imagine how she must have felt, whilst giving the baby her bottle in public, when a nearby mother loudly voiced the opinion “Look at that poor newborn with rubber in her mouth! I get so angry when I see that! She can’t even be a month old!”. My mind boggles as to how any woman could so openly criticise a fellow mother, especially within earshot, but this actually happened. Of course the poor mother ended up in tears. This goes beyond unintentionally triggering someone else’s insecurities by a country mile. I was a bit unprepared for one of the first comments I got, though…. “Rachel, with regards to ‘Shirley’, every mother is one. Including you. If a mother tells you her child walked at 15 months and your child walked sooner than that, unless you lie about when your child started walking, you too are being a ‘Shirley'”. Whaaaat?!! I thought. She has completely missed the point, did she even read the blog post in the first place? I was just about to send her a message highlighting these points when I started thinking about it. Could there be some truth in what she was saying? Whilst I was pondering this, she added to her original point by saying that we are entitled to feel “smug” about our kids from time-to-time. Now this raises something really interesting. Of course a parent is entitled to feel proud of and to discuss their children’s progress. If the fact that someone else’s child walked before mine made me feel bad, that would be my issue and not their responsibility for bringing it up. If we all walked on eggshells around one another for fear of offending the parent whose baby doesn’t walk yet when ours does, play dates would be pretty tricky and conversation would be stifled to say the least. In short, articulating your pride in your children does not a Shirley make. 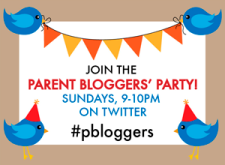 (I highly recommend you check out this fantastic blog if you’re interested in why it is that we may feel it’s inappropriate to sing our childrens praises). Another astute mama (I’ll call her Laura) expressed how proud she is of the routine she’s managed to get her daughter in to and the fact that her baby has slept through the night from an early age. Laura worked very hard to do this but worries that she may come across as a Shirley to other mothers for discussing this with them and potentially making them feel inadequate for not having accomplished what she has. I’d say that this is a really good example of how our insecurities (and sleep deprivation, in this case) could easily find us comparing with Laura and finding ourselves to be lacking. But Laura isn’t intentionally trying to make anyone feel bad, far from it. I’m sure if asked she would gladly offer advice and tips to her sleep deprived friends. The issue here is in the mind of the beholder. Another example of how we may read unintended meanings into our conversations, assuming that we’re terrible mothers because our children still wake regularly and someone else’s slept through from eight weeks. Even as I write this, more and more brave mamas are sending me messages about situations where they’re unsure if they’re being a bit “Shirley”. Kate makes a really interesting point. Her son has been very easy when it comes to sleeping, eating and discipline. But Kate feels like he has to bite her tongue, she feels judged for having it too easy, like she isn’t entitled to contribute advice to her friends because she worries that they’ll think her “smug”. Not having a common complaint makes her feel alientated from her friends. I think the real point here is our definition of “Shirley”. She clearly represents different things to different mums. Everyone who read the original Shirley post seems to have their own mental picture of who she is, and what she means to them. She is voicing our inner insecurities. Often literally. My friend H works full time. She doesn’t want to but she has no choice. A stay-at-home mum recently told H that she was damaging her daughter by going out to work each day. H was understandably left feeling devastated and more guilty than ever. But the stay-at-home mum has barely enough money to put petrol in her car. She is struggling to make ends meet. Could it be that her comment to H came from a place of envy? Could it be that she wishes she had a way to contribute financially to her family? This does not excuse the mean and thoughtless thing she said but it does illustrate that her unkind words probably came from the place where her own self-doubt lives. Her Inner Shirley was speaking. The point I’m making is this. What if we ARE all a bit Shirley? What if Shirley was all in our minds, all along? A bit like Fight Club?! What if she is the devil on your shoulder, causing you to doubt your parenting skills? Making you read judgements where actually none were intended? What if by having more faith in our skills as mummies, we could silence our inner Shirleys? Or to take this logic one step further, what if we harnessed the power of our inner Shirley to ask for help? It’s playdate time again. You turn up at Shirley’s house, and you’re dreading it. You’ve been up all night, pacing the floor with a screaming almost-toddler in your arms. You’re exhausted, emotional and by your own admission you look like you’ve just survived a natural disaster. In a way, you have. You’re asking yourself why you didn’t just cancel the arrangement, but in a toss-up between an afternoon with Shirley and an afternoon listening to the ironing pile calling you, Shirley wins by a narrow margin. Let’s look at how this conversation might go and the meanings that you may very well be reading in to the conversation that weren’t actually even there. Shirley says: Hello! Crikey! You Look tired! This is a prime example of how one comment from Shirley can be like the starting pistol on your very own mental marathon of self doubt. Pointing out that someone looks tired is never the most tactful thing to say. But what if, actually, Shirley was coming from a place of care and concern? What if she doesn’t feel comfortable offering unsolicited advice to you, for fear that you might think her “smug” or a show-off? Or what if she worries you’ll-think-that-she-thinks-that-you’re-doing-it-all-wrong? What if, actually, what we’re all doing is paying too much attention to our Inner Shirley and second guessing each other all the time? Think about it. Shirley here could have said “Sweetie, I hope you don’t mind me saying this, but you look shattered, is there anything I can do to help? We’ve all been there. I know exactly what it’s like to feel so utterly exhausted that you look at childless friends with envy, knowing that they’ll have no-one to interrupt them just as they get comfy tonight. What can I do to help you?”. Now this could open up floodgates. Shirley could stop being someone you feel is judging you and start to be the person who directs you to the one sleep-training technique that saves your sanity. (For me it was the Baby Whisperer’s Pick-Up/Put-Down technique but I’ll go into that another time). By listening to our Inner Shirley and paying attention to what she has to say, we can ask for help and guidance. Equally, by thinking a little bit more about the words we use with others, we can affect change. We can be more confident in our own abilities, both as parents as friends. Most of what we hear when other people speak comes from our own Inner Shirley. There is no such thing as a perfect parent. That I do know. The woman you think of as “Shirley” has undoubtedly got her own issues and most of the battles we’re fighting are with ourselves. So, in answer the the question posed in my last post: “Are You Shirley” the answer, in all of us, is actually Yes! But some of us are more capable of keeping her in check than others. She is the voice inside us that makes us sometimes doubt ourselves. We (read: I) need to learn to ignore her when she is in our heads causing us to doubt ourselves, or recognise that we need support in certain areas and ask for it. I was asked to look at Shirley through her own eyes. Turns out her eyes are brown, like mine. PS.. I’m going to paste some of the Facebook comments below, where is says “what do you think?” as to put them all in the blog would’ve been a bit of a lengthy read. PPS.. as always, please do leave your thoughts here and share via Facebook if you think a friend would like what’s going on here.